The Dodgers made their second trade in a week on Friday, sending utility man Howie Kendrick to the Phillies for first baseman/outfielder Darin Ruf and utility man Darnell Sweeney — a former Dodger farmhand. 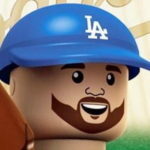 It was no secret the Dodgers were going to move Kendrick, especially after he spoke out about his playing time last season and in the playoffs. I wrote about Kendrick (and Scott Kazmir) on Wednesday. That is still probably the case for Philadelphia, and Kendrick just didn’t fit the Dodgers’ plans for the upcoming season with him falling out of favor for more productive and younger players. If there is no money changing hands, the Dodgers will save about $10 million by sending Kendrick to Philly. He signed a 2-year, $20 million deal last offseason, but $10 million of his salary was deferred to December 2018 and 2019 ($5 million each season). Seems like a lot for one year of Kendrick, so expect some money to change hands. Sweeney already had been removed from 40-man. Ruf was likely DFA next week. Phillies basically sign Kendrick to 1 year, $10 mil deal. While Kendrick wasn’t realistically a third base option for the Dodgers, this might prompt them to ramp up efforts to retain Justin Turner. Ruf and Sweeney aren’t exactly the pieces to put the Dodgers over the top, but their value was about as much as could be expected for an aging, decline veteran player. Ruf, 30, was quite poor in 2016, posting just a 48 wRC+ and a -0.7 WAR. For a corner guy, that just isn’t gonna cut it. Once a somewhat productive contributor, he has been bad the last two seasons. If you’re wondering what kind of role to expect with him, well, he has mashed lefties in his career (151 wRC+), but he did most of that damage earlier in his career. He could be a prototypical Oklahoma City Dodger. He’s out of options, but I don’t suspect a team would claim him via waivers. Sweeney, 26 in February, spent all of 2016 in Triple-A after being sent to the Phillies in August of 2015 for Chase Utley. While it was questionable whether his skill set would translate to the majors (and it hasn’t yet), he hasn’t been nearly the same player since the Dodgers dealt him and looks to be organizational depth at this point. This is a very minor trade that clears some money and a roster spot for the Dodgers in exchange for a guy the team probably weren’t going to play much in 2017. It also gives Kendrick a chance to rebuild his value and play out his contract in hopes of landing with another team after the 2017 season.